Following in the steps of our 1st giant XOOM giveaway, we threw another giveaway 2 weeks ago with an even hotter prize - the LG G-Slate 3D tablet (thanks to NVIDIA again for providing the prize!). With close to 2000 Twitter and over 1200 Facebook entries, I am now ready to name the winner who will be able to shoot 3D movies left and right like it's his job, all while playing Angry Birds and gChatting his family. This time around, we've opened up the giveaway to a few more countries, such as Malaysia, India, and South Africa (sorry, Argentina, you were removed), so that folks from all over the world could participate. We'll try to do this as much as possible in future giveaways as well. And now for the most interesting part - the winner! Unfortunately, even though we want to send each of you a G-Slate, only 1 out of the 3k+ entrants could be selected. If you didn't win, don't get upset - we'll have more great contests coming up shortly. 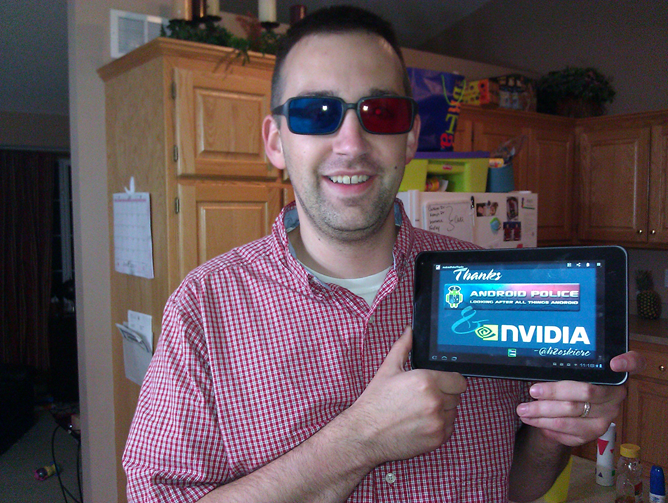 @h2oskierc, Chris Grandell from Minnesota, who entered using Twitter on June 1st with this comment "I can haz g-slatez?" 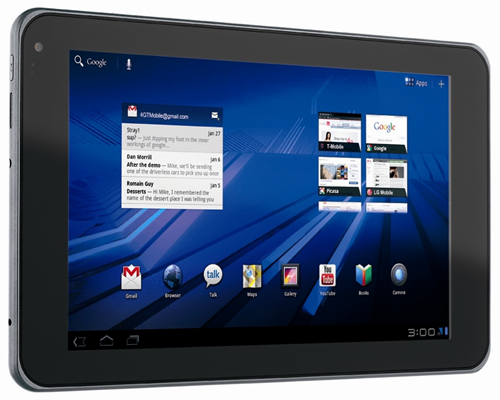 - you are now the owner of a brand new LG G-Slate 3D Honeycomb tablet. Congratulations! We will be contacting Chris shortly, and as for the rest of you, better luck next time and stay tuned - we have a couple of great giveaways coming right up! I'd like to thank NVIDIA for sponsoring the contest, David Ruddock for handling the legal side along with a myriad of "why is it not open in my country?" questions, and all of you for playing.